The Part C and Part B FFY 2014 Grant Application Packages were mailed to States on November 6 and November 18, respectively. The full packages are now posted on our website at the following link: http://www.ed.gov/fund/grant/apply/osep/2014apps.html. We are planning a TA call on the packages on January 9. Details on the TA call will be provided in a follow-up e-mail and posted on The Right IDEA website. Center on Technology and Disability (November 18-19). Over the past several years OSEP has undertaken a review of States’ systems for implementing the fiscal requirements of the Part B of the IDEA and related statutes and regulations, through the Continuous Improvement Visits (CIV) and other mechanisms, including the desk audits that OSEP’s Recovery Act Facilitators conducted with all States, follow up Critical Elements Analysis Guide (CrEAG) calls, and calls addressing the Maintenance of State Financial Support (MFS) requirements. 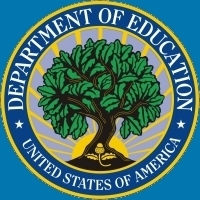 Rather than address these issues through separate letters, OSEP decided to provide each State with one comprehensive letter incorporating information from these multiple sources of information. During the week of December 2nd, OSEP began issuing our first group of Part B fiscal monitoring letters. Each State should anticipate receiving a letter, with an enclosure detailing any findings, over the next several months. Should you have specific questions after receiving your letter, please get in touch with your State contact. As we bring this year to a close, I would like to thank you for your tireless efforts to improve the outcomes of children with disabilities and their families. We are excited about the work we are doing to support you in improving those outcomes, specifically the development of our new Results Driven Accountability system. We look forward to sharing more details about RDA in the new year.